Style has a lot of meaning in some circles and special edition cars from fashion designers and fashion retailers are no strangers to the automotive industry. Just in the past year AllSmallCars.com has reported on the special edition Fiat 500’s from Diesel and then of course who can forget the Eddie Bauer edition Ford’s of the ‘90s or the Givenchy Lincoln’s of the ‘80s. 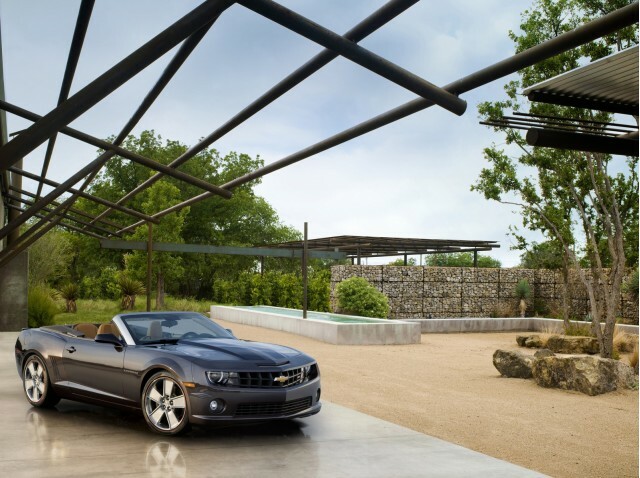 The latest comes from GM with the 2011 Chevrolet Camaro Convertible Neiman Marcus special edition. Now sure, if you like Neiman Marcus then the special edition might be enticing. Then there is the $75,000 price tag. You might think that $75K for a special edition is a bit much, especially when you consider the standard version will go from the upper $20K to the low $40K range. Surprise! In about three minutes at the beginning of the week, all 100 examples of the Neiman Marcus special edition Camaro were sold out. This edition was prepared especially for the Neiman Marcus Christmas Book and apparently struck a nerve with buyers. So what is the Neiman Marcus special edition? Basically, it is a Camaro SS Convertible with either the six-speed manual or automatic. The “unique” features include Deep Bordeaux paint with matching fabric top, ghosted rally stripes, silver matte finished windshield frame and 21-inch polished alloy wheels with Bordeaux red detailing. Is it worth the money? We can only assume yes.